Learn local employment trends & find the perfect career fit for you! With so many career options to choose from, it's helpful to know which industries are the fastest growing & most lucrative. Assess patient health problems & needs, develop & implement nursing care plans, & maintain medical records. Administer nursing care to ill, injured, convalescent, or disabled patients. May advise patients on health maintenance and disease prevention or provide case management. Licensing or registration required. Compute, classify, & record numerical data to keep financial records complete. Perform any combination of routine calculating, posting, & verifying duties to obtain primary financial data for use in maintaining accounting records. May also check the accuracy of figures, calculations, & postings pertaining to business transactions recorded by other workers. Install, maintain, & repair electrical wiring, equipment, & fixtures. Ensure that work is in accordance with relevant codes. May install or service street lights, intercom systems, or electrical control systems. Analyze science, engineering, business, & other data processing problems to implement & improve computer systems. Analyze user requirements, procedures, & problems to automate or improve existing systems and review computer system capabilities, workflow, & scheduling limitations. May analyze or recommend commercially available software. Plan, direct, or coordinate the operations of public or private sector organizations. 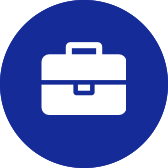 Duties & responsibilities include formulating policies, managing daily operations, & planning the use of materials & human resources, but are too diverse & general in nature to be classified in any one functional area of management or administration, such as personnel, purchasing, or administrative services. Teach students basic academic, social, & other formative skills in public or private schools at the elementary level. Take a look at all the certificates offered at SC's Technical Colleges that will equip you for a career of your choice. Complete an interest profile to learn what career may be best suited to your skills & interests. See more of the top jobs in South Carolina and learn about growth rates & salary information. 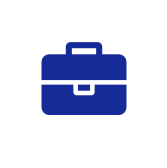 SC Works – Career & salary information, as well as resources to help with your job search.